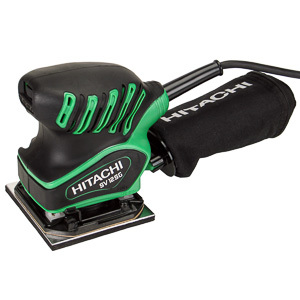 While writing last week's article, The Best PalmSanders - 2014 Edition, I noticed I did not review Hitachi's SV12SGpalm sander. I ordered one, and it arrived just in time for thisweek's review. All my palm sander specific hopes and dreams rest onthis little green guy. Let's take a look if the Hitachi SV12SG canupset the palm sander rankings, or if it is yet another uninspiredentry. What happens when you choose to go cheap whenbuying a 1/4 sheet palm sander? 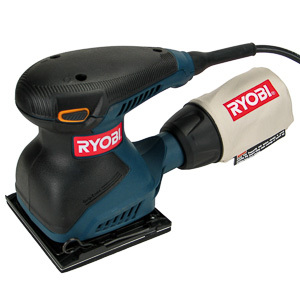 I tested the Ryobi S652DK palmsander in my shop to find out. Let's take a look, if this budgetpalm sander is a viable replacement for the more expensive modelsmost of us use in our shops. In the world of 1/4 sheet palm sanders thePorter Cable 330 is an anomaly. It looks different and costssignificantly more than the clones that have invested themainstream market. Needless to say, we had to find out what was up.Let's take a look at what makes the Model 330 sander different. 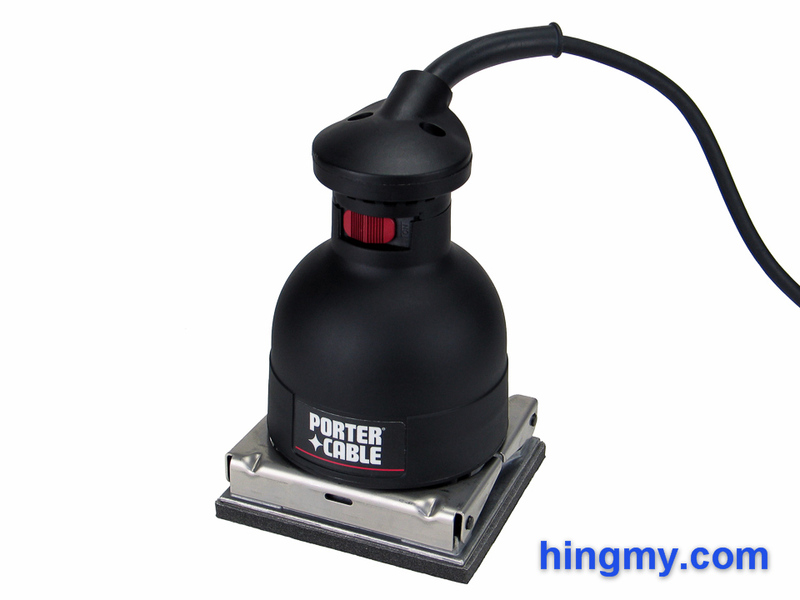 This week we finally made time to review theMilwaukee 6020 palm sander as part of our quest to review allimportant palm sanders on the market. This particular model has thedistinction of sitting at the top of the power charts. Selling atonly a slight premium we had to get it into our shop. 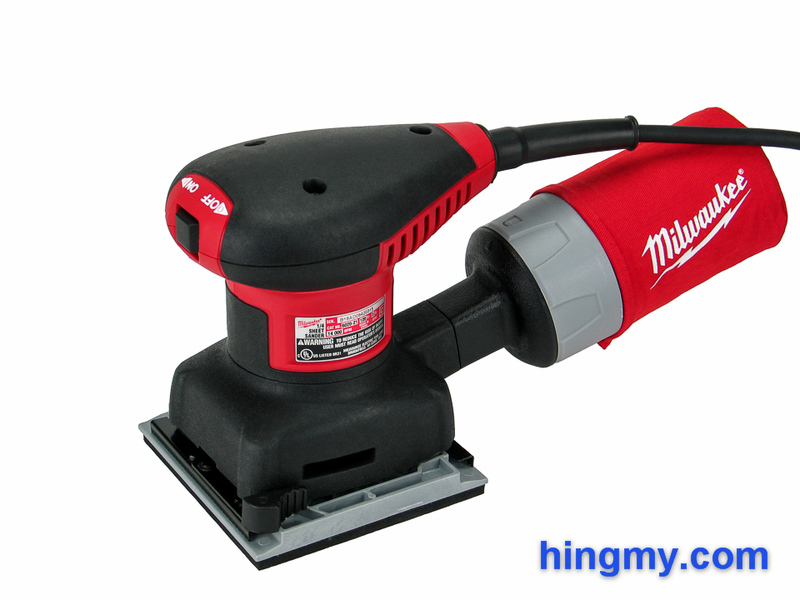 Let's take alook, if the Milwaukee 6020 palm sander can turn its lead in thepower department into a win in the sanding performance test. Palm sanders are always fun to test. Thesedeceptively simple tools always manage to surprise in one way orthe other. This week we took a look at the Bosch 1297D. At firstglance it seems this model distinguishes itself with a innovativepaper retention mechanism. Experience tells us there has to more tothis sander. 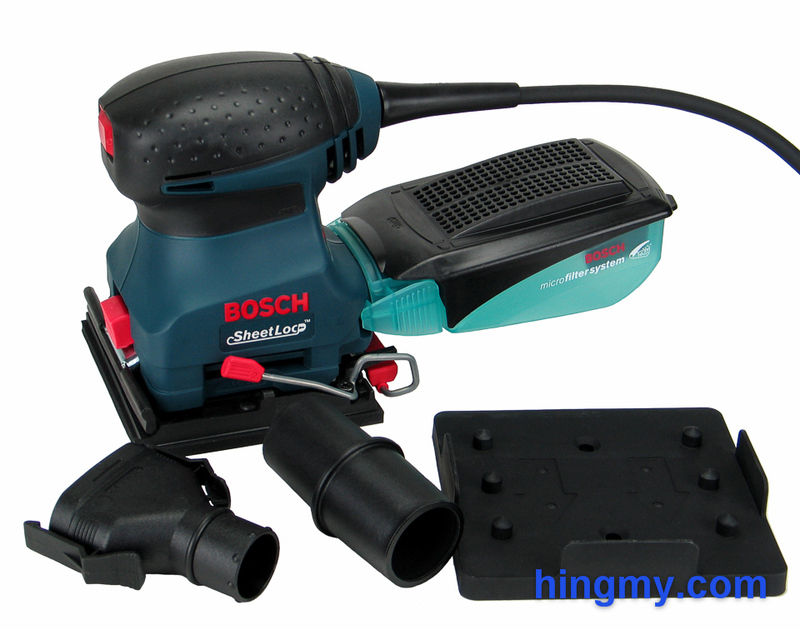 Let's take a look at what the Bosch 1297D is hidingbelow that dark blue plastic shell. A plam sander is a sanding tool that vibrates a sheet of sandpaper attached to its plate. Due to their square sanding pad, palm sanders are the best option for sanding into corners and up to edges. A palm sander is an indispensable tool in any cabinet shop. The limited side-to-side movement of the pad makes the palm sander a bad choice for rapid stock removal. A belt sander or even orbital sander will remove stock much faster than a palm sander. Palm sanders are notoriously bad for the user's hand. The vibrations of a badly built tool can make for a very sore hand at the end of a long day. Manufacturers have taken notice of this. The new generation of sanders all have different implementations of vibration isolation, a feature that attempts to isolate the user from the vibration of the base plate. The effectiveness of this feature varies from sander to sander. The size of a palm sander is described as a faction of the size of standard sheet of sand paper. 1/4 sheet sanders are the most common size. They make effecient use of sandpaper while still being large enough for use on cabinets. 1/2 sheet sanders reduce sanding time on large projects like table tops. The power of the motor determines how much material the tool can remove in a given time interval. More powerful sanders remove more material, but they are bulkier and harder to use. The other variables that determine sanding performance are orbit diameter and motor speed. The speed determines how many times the base plate vibrates per minute. More vibrations means more aggressive sanding. The orbit diameter determines how far the plate moves during a single vibration. A larger orbit diameter makes for a more aggressive cut, but finish quality can suffer. Sanders produce a lot of dust. Each palm sander has a different mechanism for collecting this dust. Some work better than others. 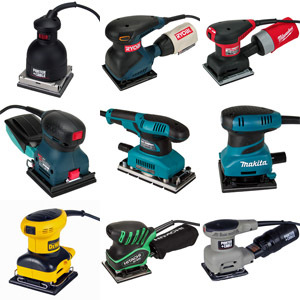 If you want efficient dust collection on your sander, you should read the reviews of each tool. Because the topic is so important, there will be a section just about dust collection. "The 342K is one of the better 1/4 sheet palm sanders. Its spec compare favorably and it performs well. The dust cartridge is badly designed. Use an extractor." "The BO3710's thick, cast base plate shows strikingly good design. Better built than almost all small sanders, with better dust collection, it is a great buy."